Since the world clearly isn't weird enough as is, former Primus/Colonel Claypool's Fearless Flying Frog Brigade/Oysterhead bassist/vocalist and all-around strange duck Les Claypool has completed yet another freakish project for those who just can't stand simple rhythms set to 4/4 timing. Slated for release on March 17 via his Prawn Song Records, full-length album Of Fungi And Foe is apparently the "expansion of material (he) has recorded over the past few years for the Mushroom Men videogame and the motion picture Pig Hunt," as the official statement reveals. 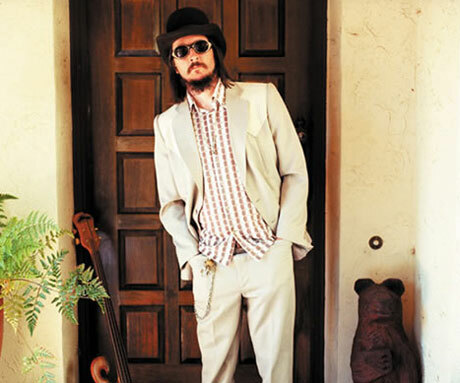 According to Claypool, the experiences proved to be so positive that he continued to elaborate on them post-completion until he had realized a full-on album. To that extent, some of the work featured on the game and in the film has been extended into bona fide tunes. Of Fungi And Foe is Claypool's first real solo material since 2006's Of Whales And Woe. 5. "What Would Sir George Martin Do"
6. "You Can't Tell Errol Anything"
11. "Of Fungi And Foe"